And for most people, the PAIN is excruciating! I have tried a number of different methods to get rid of the pain. I can truly say that topical numbing cream is the best option for pain relief during tattoo, laser or IPL treatments. In this post, I am going to review the most effective topical numbing creams for laser hair removal. I will also explain how numbing cream works and the best method of applying it. Dr. Numb has been a big hit for a number of years within the tattoo industry. The company manufactures its topical numbing creams with the finest quality ingredients, lidocaine, and prilocaine. 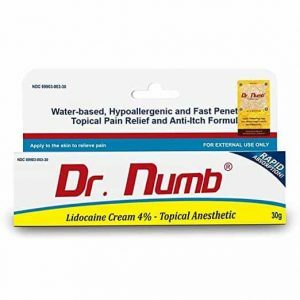 Dr. Numb is a non-oily, water-based lidocaine cream which contains 5% Lidocaine. This cream is also certified by Health Canada and approved by the FDA. I found that Dr. Numb works better on sensitive areas of the body. It numbs the skin well, however, it didn’t last as long as some of the other creams available. Numb Master uses a whopping 5% Lidocaine within their cream. This makes it one of the strongest over the counter numbing creams for Laser Hair Removal. Numb Master’s formula combines topical anesthetic with micro needling procedures. Studies have shown that this makes their solution even more effective than other products out there. Numb Master manufactures its product through the proper FDA channels, ensuring that it meets the highest standards. This cream does a great a job at reducing the pain. What I noticed about Numb Master is that it lasted a really long time, around one and a half hours. It was also easy to apply and take off because it wasn’t greasy or cakey. Hush is an FDA-compliant topical anesthetic cream that enhances your home laser hair removal experience by eliminating as much pain as possible. This American-made product is endorsed by some of the country’s finest tattoo artists and is now helping many people with home laser hair removal treatments. I like the fact that Hush isn’t tested on animals. However, it wasn’t as effective as some of the other numbing creams that I have reviewed today. Some people advise wrapping the treatment area with Saran Wrap to strengthen the results. Some researchers state that this can increase the chance of having a side effect. It can also restrict the use of certain parts of the body. I also noticed that Hush wore off more quickly than the other creams. Lidocaine Plus is the cheapest product we are reviewing today, so it’s a great solution if you’re on a tight budget. This topical numbing cream is formulated with aloe vera and a water-soluble base. It contains 4% lidocaine hydrochloride, which is what you want in a numbing solution. Although this cream is not as effective as some of the more expensive products, it still packs a punch! I applied it 90 minutes before my treatment and it lasted for about an hour. Ideally, you would like your lidocaine cream to last a bit longer so that you avoid having to top up. The aloe vera in the cream makes it feel cool on your skin. It also has a nice consistency which makes it easy to rub deep into your skin. Lidocaine Plus has a fresh minty smell which is quite pleasant. Topicaine is distributed within the US. Their new formula contains 4% Lidocaine, which means that it works REALLY well for laser hair removal. The instructions included are easy to follow. For best results, apply an eighth-of-an-inch thick layer of topical numbing cream over the treatment area and then leave it on until your skin is completely numb. I left the cream on for about an hour before my laser hair removal, and my skin stayed numb for about an hour and a half. This cream isn’t sticky and smells good. Topicaine is well priced and easily accessible. The supplier I buy it from always seems to have it in stock. LMX 5 is developed by a leading US pharmaceutical firm, called Ferndale Labs. This company specialises in dermatology innovation. This product has been designed to work with a whole host of treatments and procedures, but it works especially well for laser hair removal. Because I bought this product off Amazon, I was a little bit concerned that the packaging might not be up to scratch. I am pleased to report that this wasn’t the case at all. The tube and box were high quality and in perfect condition. It even came with clear and easy-to-understand instructions. This stuff works really well, but you must be patient and let it sit on your skin long enough. The longer you leave it, the less pain you will feel! I like that LMX 5 is more of a gel. It soaks into your skin nicely, without leaving a residue like some other topical numbing creams I’ve used. No Scream Cream is made in the US by Deborah Merhar, who is a licensed aesthetician and waxing expert. Deborah has over 15 years’ experience in the spa industry and has a number of depilatory products under her belt. Although this cream was initially developed for waxing, it’s perfect for laser treatments as well because it contains 20% benzocaine. No Scream is developed with a safe and natural formula that is compatible with all skin types. When I first tried this skin numbing cream, the results were not very good. The instructions stated that you should not rub the cream into your skin too much and that there should be a layer of cream on the skin. I thought I would give the cream a second chance. I’m glad I did because the second time around the results was much better! This time, I rubbed the cream in as much as I could and waited for about 45 minutes. During my laser hair removal, the cream definitely took the edge off. It wasn’t as effective as some of the other creams I’ve tried, but it worked and it’s also well-priced. I found that the best numbing spray option available was GiGi Honee Anesthetic Numbing Spray. GiGi is a Los Angeles based beauty company that is known for developing GiGi Honee, the number one selling wax in the world. GiGi’s Anesthetic numbing spray is used to desensitize skin prior to laser hair removal treatment. It’s a topical analgesic spray that contains 4% Lidocaine. The Lidocaine within the spray penetrates the skin’s surface and numbs the treatment area within only a few minutes. It works, but you must apply it generously. The spray smells really nice and it’s very easy to apply. I have also used it before with Gigi hard Brazilian wax, with similar results. There you have it. Those were our choices for the best numbing creams for laser hair removal. We hope this post will help your search for the best numbing creams much easier. I have spoken to so many people who go for treatment after treatment, putting up with the pain, thinking that there is no solution out there which works. Luckily, there is a solution! We’ve found that skin numbing cream is the most effective way to seriously reduce the pain when you have a laser treatment. We hope you can find the best cream from our list. When you experience the amazing results yourself, be sure to pass it forward. Let your friends know about it. If not, you can have them read this guide. 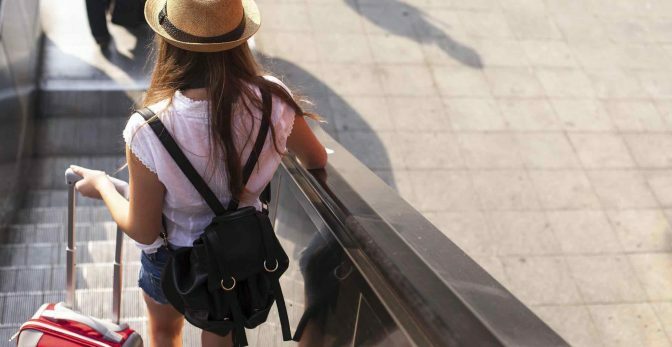 Does Topical Numbing Cream Effect Laser Hair Removal Results? Many professional laser hair removal salons routinely use numbing cream without any reduction in effectiveness. Anywhere between 30 minutes to an hour, depending on the strength of your cream. As a little test before your treatment, I suggest applying a pea-sized amount to your skin to see how long it takes for the cream to kick in. After 30 mins press a pin into your skin to see if you can feel anything. Do this every 10 minutes after that to gauge the length of time it takes for your cream to work. Anywhere from an hour to several hours. Some topical numbing creams have longer acting agents in them which can cause the numbness to last for a very long period of time. If you become concerned then talk with your doctor. The really strong numbing creams are only available by prescription. Numbing creams powerful enough to reduce pain during laser hair removal can be purchased over the counter. How Does Over the Counter Numbing Cream work? There are a few different types available. Each contains different active ingredients. The active ingredient within most of the creams we are going to review today is Lidocaine. Lidocaine is the most suitable pain relief solution for these types of procedures. Benzocaine and tetracaine are other active ingredients within some numbing creams. BuIt works by blocking your nerve endings. When your nerve endings are stimulated, sodium is produced. This causes an electrical signal build-up. Benzocaine and tetracaine work as a chemical barrier, preventing the electrical signals from building up within your nerve endings. This in turn prevents your nerves from sending pain signals to the brain. The process doesn’t totally eliminate pain, but it does greatly reduce it. Benzocaine and tetracaine may be used when you’re going to get a laser hair removal, but they are normally used to reduce pain or discomfort caused by minor irritations of the skin, cold sores, toothaches, sunburns or stings. Numbing creams are also very effective for laser, waxing and pre-tattoo care because they can help to prevent involuntary flinching. I’m going to give you some great hacks for getting the most out of the topical numbing creams being reviewed today. 1. First, wash the treatment area thoroughly to remove any dead skin, bacteria or dirt. 2. Apply the first layer of cream to your skin about 45 minutes to an hour before your treatment. 3. Rub the first layer on your skin until it completely soaks in. 4. Next, apply a second, thicker layer to the skin. This time, don’t completely rub it in. You want it to sit on top of the treatment area, kind of like icing on a cake. 5. Just before your treatment, scrape off the second layer of cream, and rub any of the remaining creams into your skin as much as possible. 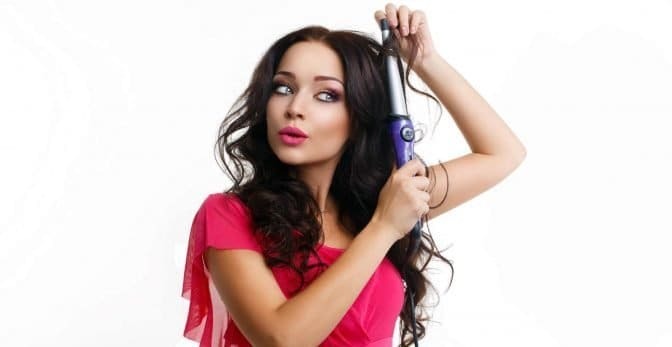 Doing this will not tamper with the effectiveness of your laser or IPL treatment. I tried them all. and Emla is the best numbing cream. Hi! thank you so much for these suggestions. I was wondering if you have ever tried Greencaine Lidocaine numbing gel? I was doing research on the best and I read that it also really works. Can you use these for brazilian areas? I would be cautious because sensitive areas of the body can be prone to irritation or allergic reactions. Patch test the cream on the sensitive area first to make sure you do not have any adverse reactions. One thing that you also need to take into consideration when applying numbing cream to the sensitive areas is that it is hard to judge how hot the laser is. This can cause its own problems because you don’t want to burn yourself there. Maybe use less cream so that you can feel some pain, and also be extra vigilant. If you think something is not right then stop what you are doing. Thank you. Very helpful. I am considering filler injections around the mouth area but I found them quite painful in the past. Which numbing cream would you suggest ? Greencaine cream is great for any procedure that involves needlework. This cream contains lidocaine which numbs the pain. It also contains aloe vera and jojoba oil which helps soothe your skin. This combination should make the experience more comfortable. I hope this information helps. Hi! I am Helen, I asked a question(the one about emla) in the previous comment about a month and a half ago but I didn’t get any reply. Could you give me an answer to my question because it is really important to me? So sorry for the late response! Emla is a combination of both lidocaine (2.5%) and prilocaine (2.5%). Unlike Lidocaine 5%, it is only available as a prescription. To be honest I haven’t tried it for this reason. I have always found lidocaine cream like LMX 5 suitable for me. I would seek advice from your doctor about the pro’s and con’s of Elma cream. After having this cream on my legs for 2 hours before my treatments, I still feel every single zap of the laser to where I am in tears and excruciating pain. Some of these things have less of the ingredients than what I am using. I am curious to know if there is any other way to prevent the pain from being so intense. This was only my 3rd treatment on my legs and bikini area. I have a long way to go to finish the treaments. Being transgender (MTF) I purchased the Tria 4x because laser hair removal is an absolute necessity for those in my situation. I’ve had next to perfect results with my tria but the longer I was on hormonal therapy the less pain tolerance I would have to help me endure the treatments. I’m going to try the LMX 5 you recommended, and I hope I can get back on my hair removal journey again! Which is best for eyebrow microblading? Bioclense you order it from Canada it has 6% lidocaine and let me that 1% makes a world of difference, used it for my eyebrow microblading procedure and i didn’t feel a thing, the first time i had it done my tech used something else, definitely not as strong or good as what the second tech used, i would go with Bioclense ??? Hi Linda, I am not medically trained so I think it would be best to check with your Doctor if you concerned. Personally I have had no problems with LMX5 and do not know anyone who has. You do of course need to be very careful not to get any in the mouth and also not to use an excessive amount as the body can absorb too much if too much is used. For a small area it should be fine but do speak to your doctor to make 100% sure first. If your daughter is on any medication or has any conditions then you want to make sure that it won’t interfere. consists of remarkable and in fact excellent information for visitors. Jessie, Thank you so much for all of the information!! You provided the best information for me as I proceed with my at-home laser treatment.